Around 1945. 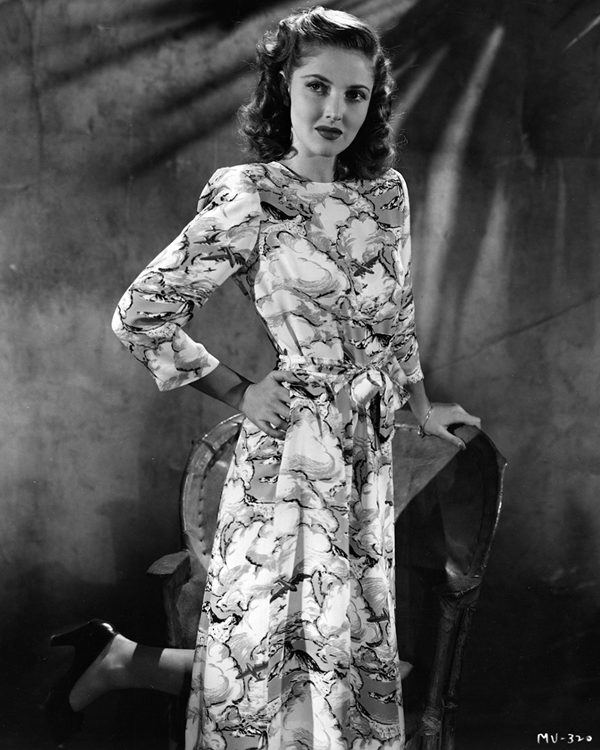 Martha Vickers models a printed cotton day dress with padded shoulders and belted waist. In September 1945 her plans to marry Hollywood automobile dealer Al Herd (whom she presumably met through her father’s contacts) fail to materialize, and a few months later she is reported as dating Jimmy Stewart.